The medical community is working hard to find solutions to the diabetes and obesity crises, and RDs have an important role. It has been said that the 21st century is the unprecedented diabetogenic era in human history.1 The number of American adults diagnosed with type 2 diabetes continues to soar exponentially. Obesity, which is considered a major risk factor for type 2 diabetes, also is rising at an ever-increasing rate. Because the prevalence of obesity and type 2 diabetes has been skyrocketing, the medical community refers to them as the twin epidemics and has coined the term “diabesity” to describe the occurrence of diabetes in the context of obesity. According to the annual report F as in Fat: How Obesity Threatens America’s Future 2012 from the Trust for America’s Health, diabesity is on course to increase dramatically in every state in the country over the next 20 years. Dietitians play a vital role in combating the twin epidemics, and therefore must be familiar with effective weight loss intervention strategies. 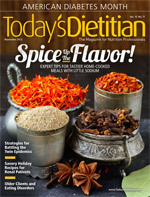 To help, this article provides an overview of the diabesity epidemic; examines the potential impact of the AMA’s decision to classify obesity as a disease; discusses current research on lifestyle modification, very–low-calorie diets, bariatric surgery, and pharmacotherapy as treatment alternatives; and discusses the RD’s role in counseling patients who can benefit from weight loss. These staggering statistics speak to the urgent need to find solutions to this evolving problem. In June, the AMA issued a press release stating it has decided to recognize obesity as a disease, requiring a range of medical interventions to advance obesity treatment and prevention. The decision was made in hopes of improving clinical, public health, and payer strategies aimed at reducing the nation’s obesity rate. The new definition of obesity has direct implications for RDs. “Recognizing obesity as a disease creates a sense of urgency that should help ensure people with obesity have access to effective treatments and providers, including medical nutrition therapy and behavioral counseling by registered dietitian-nutritionists,” says Glenna McCollum, MPH, RDN, president of the Academy of Nutrition and Dietetics. The timing of AMA’s decision couldn’t be better, according to those in the medical community, considering that Congress also introduced the Treat and Reduce Obesity Act of 2013 in June. The bill would allow RDs to independently provide and be reimbursed for intensive behavioral therapy for obesity. Various treatment options for the management of diabesity are available, including lifestyle modifications, a very–low-calorie diet, bariatric surgery, and pharmacotherapy. Because there’s no single weight-loss approach that works for everyone, RDs will need to counsel clients and patients according to their individual lifestyles, food preferences, willingness to change, and preferred approach to weight loss. Forty-eight percent of Why WAIT participants maintained a 10% reduction of their initial weight for four years, according to Why WAIT dietitians Amanda Kirpitch, MA, RD, LDN, CDE, and Gillian Arathuzik, RD, LDN, CDE, who presented these results at the 2013 annual meeting of the American Association of Diabetes Educators. The dietary intervention, as described by Kirpitch, was designed to provide a daily restriction of 1,000 kcal, with most women receiving 1,500 kcal/day and most men 1,800 kcal/day. The macronutrient composition was 40% carbohydrate, 30% protein, and 30% fat. Meal replacements, which are proven to be beneficial for individuals who have difficulty with self-selection and/or portion control, were permitted.9 Why WAIT participants used meal replacements containing no more than 250 kcal for one or two meals daily. Researchers observed similar results in a small study of participants who received 500 kcal/day for 21 days.12 “We used 500 kcal per day given in three meals and three snacks—a challenge indeed,” says Wahida Karmally, RD, CDE, CLS, FNLA, director of nutrition at the Irving Institute for Clinical and Translational Research at Columbia University in New York City. At the end of the study, insulin secretion decreased from 13.8 to 6.8 mcIU/mL, and C-peptide, a measure of beta-cell function, dropped from 3.59 to 2.55 ng/mL. Recently, the FDA approved the use of the adjustable gastric band for patients with a BMI greater than 30 who also have at least one condition associated with obesity, such as heart disease or diabetes.16 “Additionally, an ideal candidate has excellent support from family and friends, a stable home and work life, and is willing and able to make and maintain significant lifestyle changes,” Furtado says. “Of course, a healthful diet, regular physical activity, adequate sleep, and a good stress management program are imperative to improving the chances of both remission of diabetes and maintenance of weight loss long-term,” she adds. Research indicates that pharmacotherapy may be useful as an adjunct to diet and physical activity for patients with a BMI of 30 or greater without obesity-related risk factors or diseases. “[It] also may be useful for patients with a BMI of 27 or greater and who have obesity-related risk factors such as hypertension and hyperlipidemia,” says Eva M. Vivian, PharmD, MS, CDE, BC-ADM, FAADE, an associate professor at the University of Wisconsin-Madison School of Pharmacy. Moreover, pharmacotherapy should be used only in the context of a treatment program that includes diet, physical activity, and behavior therapy.13 “Studies have shown that greater weight loss occurs if the medications are used in combination with lifestyle modification vs. drug therapy alone,” Vivian says. Over the past year, the FDA has approved two novel weight-loss drugs for long-term use: lorcaserin (Belviq) and a combination drug called Qsymia (PHEN/TPM ER), comprised of phentermine and extended-release topiramate. Phentermine, the most widely prescribed weight-loss drug in the United States,19 is indicated for short-term weight loss in overweight or obese adults who are exercising and eating a reduced-calorie diet. Topiramate primarily is indicated to treat certain types of seizures in people who have epilepsy and to prevent migraine headaches. When used in combination with phentermine, it helps promote long-term weight loss in overweight or obese adults who are exercising and eating a reduced-calorie diet. However, not all patients respond to pharmacotherapy.13 Vivian suggests patients discontinue PHEN/TPM ER if they don’t achieve a 3% weight loss with the maximum dose within 12 weeks. In addition to educating themselves, RDs will need to counsel clients and patients on how glycemic control is the primary focus of diabetes management, how to properly take diabetes medications to improve glycemic control, how medications increase or decrease weight, and how a small amount of weight loss can impact blood glucose control. Dietitians also must inform patients about the importance of energy restriction in lowering blood glucose levels and managing weight, how to prioritize weight-loss goals within the context of their medical treatment plan, how to make appropriate food choices, the benefits of exercise, and how to use data from blood glucose monitoring to evaluate the effectiveness of medication and weight-loss intervention. The evidence is strong that diabesity has become an epidemic creating a significant health and economic burden on the nation. As part of the strategy to find a solution to the diabesity crisis, the AMA redefined obesity, recognizing it as a disease. Research studies show that lifestyle modification, very–low-calorie diets, bariatric surgery, and pharmacotherapy, provided in the context of a comprehensive weight-loss program that includes RDs, are effective and essential in diabesity management. As the primary nutrition professional, dietitians must continue to work with the medical community to stem the tide of diabesity. — Constance Brown-Riggs, MSEd, RD, CDE, CDN, is the national spokesperson for the Academy of Nutrition and Dietetics, specializing in African American nutrition; and author of the African American Guide to Living Well With Diabetes and Eating Soulfully and Healthfully With Diabetes. 1. Farag YM, Gaballa MR. Diabesity: an overview of a rising epidemic. Nephrol Dial Transplant. 2011;26(1):28-35. 2. AMA adopts new policies on second day of voting at annual meeting. American Medical Association website. http://www.ama-assn.org/ama/pub/news/news/2013/2013-06-18-new-ama-policies-annual-meeting.page. June 18, 2013. Accessed July 23, 2013. 3. National Heart, Lung, and Blood Institute. Clinical Guidelines on the Identification, Evaluation, and Treatment of Overweight and Obesity in Adults: The Evidence Report. Bethesda, MD: US Department of Health and Human Services; 1998. 4. Levi J, Segal LM, St Laurent R, Lang A, Rayburn J. F as in Fat: How Obesity Threatens America’s Future 2012. Trust for America’s Health website. http://healthyamericans.org/assets/files/TFAH2012FasInFatFnlRv.pdf. September 2012. Accessed July 23, 2013. 5. Losing weight: what is healthy weight loss? Centers for Disease Control and Prevention website. http://www.cdc.gov/healthyweight/losing_weight. Updated August 17, 2011. Accessed July 23, 2013. 6. Adult weight management evidence-based nutrition practice guidelines: executive summary of recommendations. Academy of Nutrition and Dietetics Evidence Analysis Library website. http://andevidencelibrary.com/topic.cfm?cat=3014. Accessed August 20, 2013. 7. American Diabetes Association, Bantle JP, Wylie-Rosett J, et al. Nutrition recommendations and interventions for diabetes: a position statement of the American Diabetes Association. Diabetes Care. 2008;31 Suppl 1:S61-S78. 8. Hamdy O, Goebel-Fabbri A, Carver C, et al. Why WAIT program: a novel model for diabetes weight management in routine clinical practice. Obesity Management. 2008;4(4):176-183. 9. Seagle HM, Strain GW, Makris A, Reeves RS; American Dietetic Association. Position of the American Dietetic Association: weight management. J Am Diet Assoc. 2009;109(2):330-346. 10. Very low-calorie Diets. Weight Control Information Network website. http://win.niddk.nih.gov/publications/low_calorie.htm. Updated December 2012. Accessed July 24, 2013. NIH Publication No. 03-3894. 11. Lim EL, Hollingsworth KG, Aribisala BS, Chen MJ, Mathers JC, Taylor R.Reversal of type 2 diabetes: normalization of beta cell function in association with decreased pancreatic and liver triacylglycerol. Diabetologia. 2011;54(10):2506-2514. 12. Jackness C, Karmally W, Febres G, et al. Very low-calorie diet mimics the early beneficial effect of Roux-en-Y gastric bypass on insulin sensitivity and ß-cell function in type 2 diabetic patients. Diabetes. 2013;62(9):3027-3032. 13. National Heart, Lung, and Blood Institute Obesity Education Initiative. The Practical Guide: Identification, Evaluation, and Treatment of Overweight and Obesity in Adults. http://www.nhlbi.nih.gov/guidelines/obesity/prctgd_b.pdf. October 2000. Accessed July 2012. NIH Publication No. 00-4084. 14. Vetter ML, Ritter S, Wadden TA, Sarwer DB. Comparison of bariatric surgical procedures for diabetes remission: efficacy and mechanisms. Diabetes Spectr. 2012;25(4):200-210. 15. Clinical trials: STAMPEDE trial. Cleveland Clinic website. http://my.clevelandclinic.org/research/clinical_trials/hic/stampede.aspx. 16. Bariatric surgery for severe obesity. Weight Control Information Network website. http://win.niddk.nih.gov/publications/gastric.htm. Updated June 2011. Accessed July 24, 2013. NIH Publication No. 08-4006. 17. Belviq. Arena Pharmaceuticals GmbH website. http://www.belviq.com. Accessed July 26, 2013. 18. O’Neil PM, Smith SR, Weissman NJ, et al. Randomized placebo-controlled clinical trial of lorcaserin for weight loss in type 2 diabetes mellitus: the BLOOM-DM study. Obesity (Silver Spring). 2012;20(7):1426-1436. 19. Gadde KM, Allison DB, Ryan DH, et al. Effects of low-dose, controlled-release, phentermine plus topiramate combination on weight and associated comorbidities in overweight and obese adults (CONQUER): a randomized, placebo-controlled, phase 3 trial. Lancet. 2011;377(9774):1341-1352. Caution: If a meal is missed or contains no fat, dose should be omitted. Daily fat intake (30% of calories), carbohydrate, and protein should be evenly distributed over three main meals. Note: A multivitamin supplement (including vitamins A, D, E, and K) is recommended. Caution: Should not be taken with selective serotonin reuptake inhibitors and monoamine oxidase inhibitors (MAOI). May take with or without food. Discontinue if 5% weight loss is not achieved by week 12. Phentermine use is contraindicated during or within 14 days following intake of MAOIs because of the risk of a hypertensive crisis. Caution: Take once daily in the morning with or without food. Avoid dosing in the evening because of the possibility of insomnia. Note: Sold only through certified pharmacies. Caution: Primary pulmonary hypertension and valvular disease have been reported with therapy. Patients with diabetes mellitus should use caution with antidiabetic agents such as insulin or other hypoglycemic agents; dietary restrictions may lower requirements for antidiabetic therapy. Discontinue if weight loss has not occurred within four weeks of therapy.